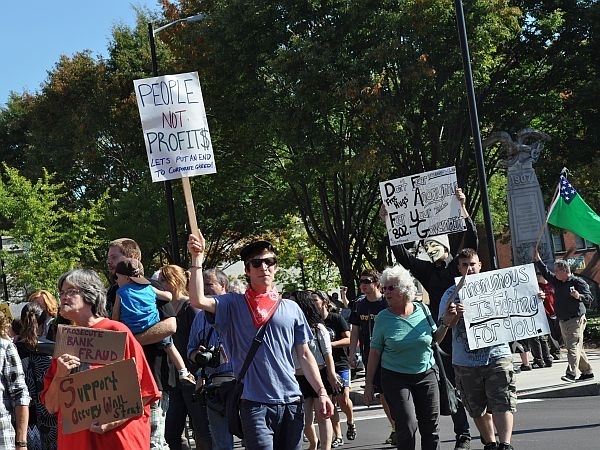 Occupy Wall Street rallies have spread across the country and into Vermont. This past week saw events in downtown Burlington and on the UVM campus. More are planned for Brattleboro, Montpelier, Middlebury and Rutland. Middlebury College professor Jamie McCallum, Heather Pipino of the Vermont Workers’ Center and Steve Greene, an organizer of the Upper Valley Tea Party, look at what’s fueling the movement, its goals and at how other populist campaigns have grown in the past. Also on the program, VTrans’ Kevin Marshia and Shayne Jaquith of the Agency of Natural Resources explain how the two agencies are working together in assessing the road repairs and river adjustments that have been made since Tropical Storm Irene struck Vermont.